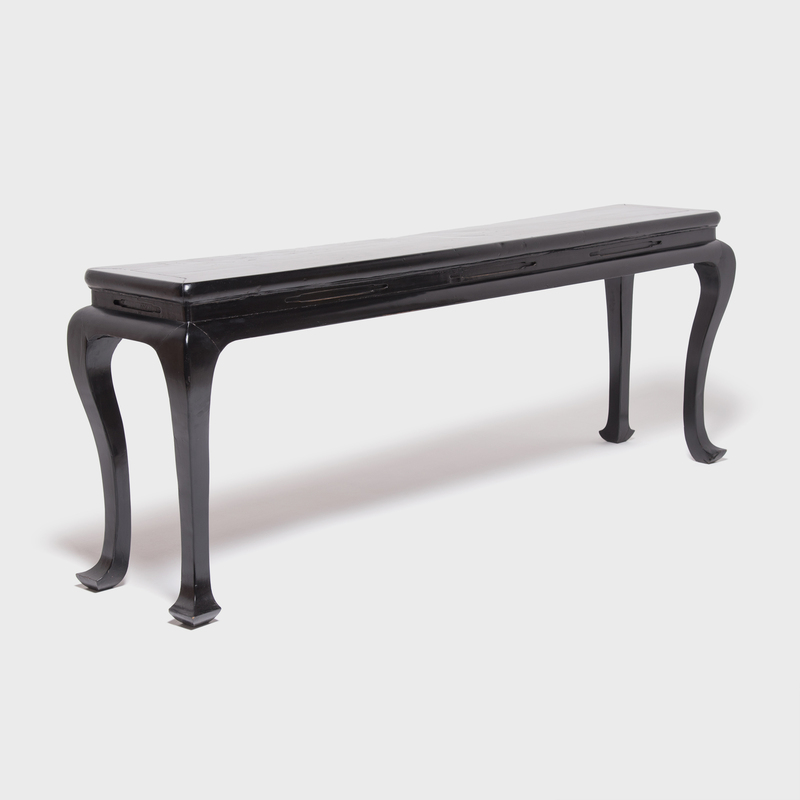 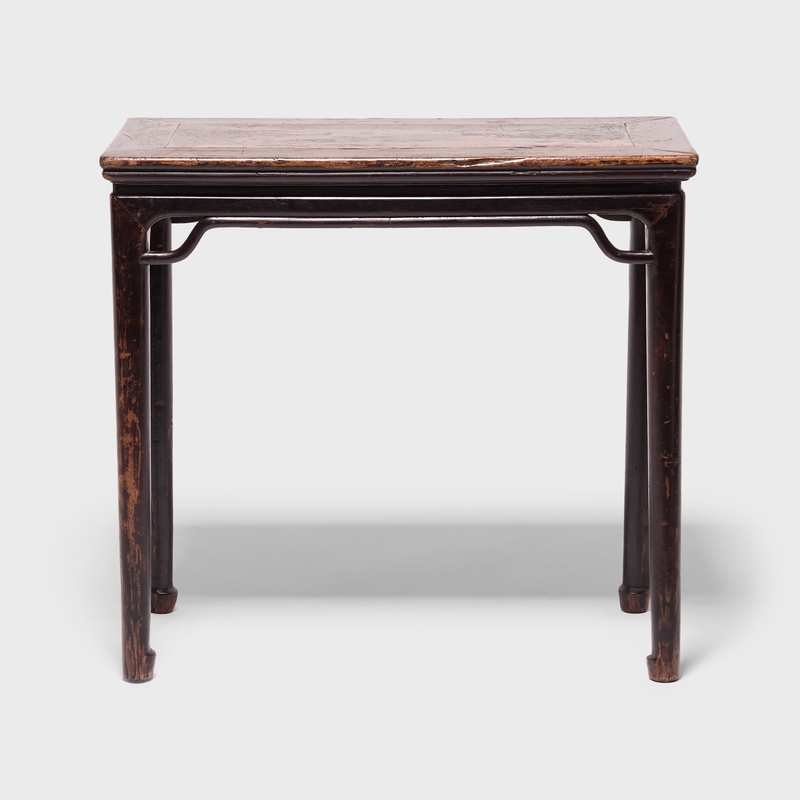 W: 78.5" D: 14.75" H: 29.0"
Bending like a winding river, this early 20th-century console table from China's Hebei province captivates with its asymmetrical form. 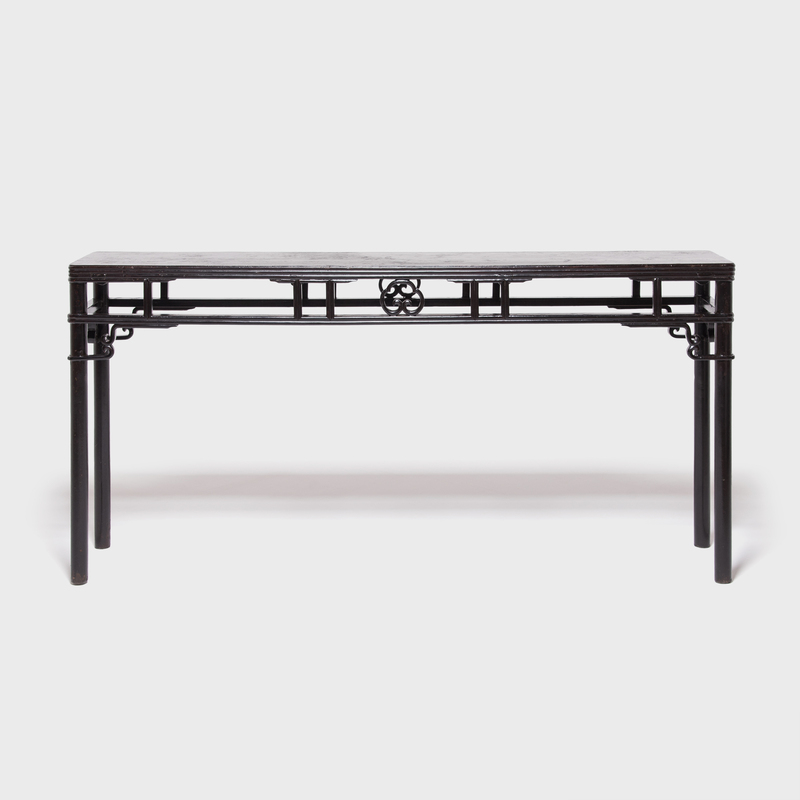 The table's irregular plank top surface is supported by two narrow tree branches, forking like a traditional splayed-leg form. 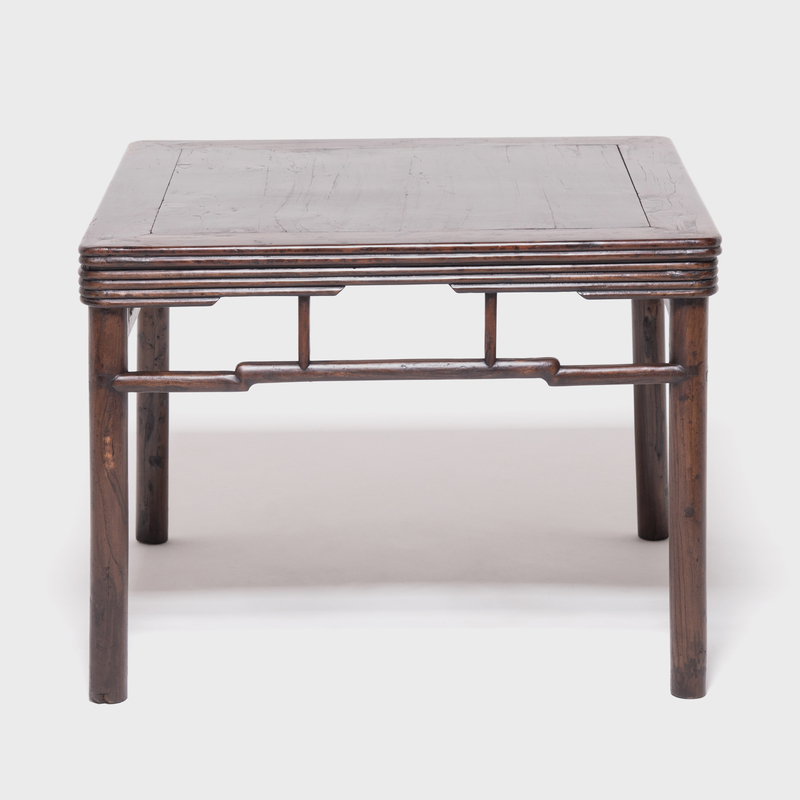 Embracing the notion of "wabi sabi," the table charms with its irregular edges, mottled color, and array of knots, splits, and deep grooves. 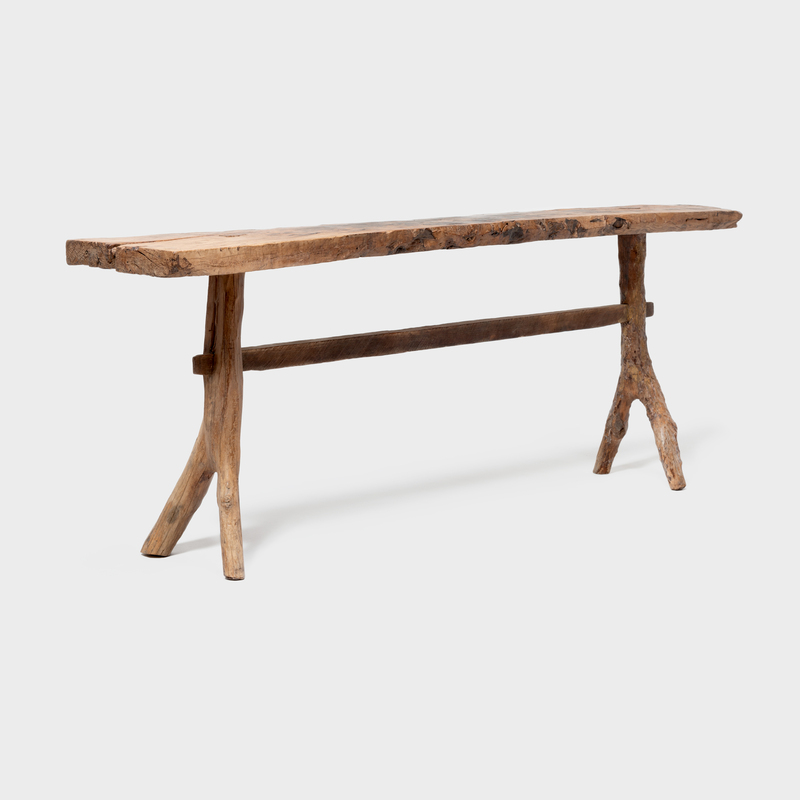 With rich character and weathered texture, this provincial table exemplifies the raw beauty of the natural world.